Over the years we’ve built a news and entertainment network that extends far beyond our print origins. 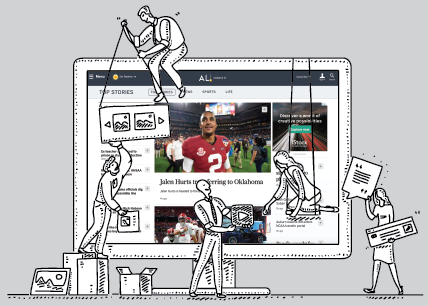 We innovated in the 90’s to bring news delivery to the digital space, launching AL.com. In the 21st century we moved beyond just a website into varied and diverse digital channels – including social media, news apps, video distribution networks (YouTube, Roku) and voice devices like Alexa and Google Home. But regardless of the device, network or medium, our core mission has remained the same – to deliver real journalism to our audience in an authentic and powerful way and to connect advertisers to their local communities. This is our story. We believe in journalism. We believe in the necessity and privilege to share true news and information. Our storytelling attracts millions of readers which makes our networks an effective tool for local businesses to grow. We love our jobs because we believe the work that we do has the power to engage, inform and change our community. We also know that journalism isn’t free which is why we have a dedicated team that helps businesses leverage our storytelling – and the millions of readers it attracts – with our news and entertainment networks, which local businesses can employ to help their businesses grow. How we pay for it. Journalism is not free. Together, our brands create the state’s largest news and entertainment network which attracts the largest local audience in Alabama. Our audiences are as diverse as they are eclectic – coming from all over the country, we bring in everything from football fans, to Southern culture aficionados, to news junkies. 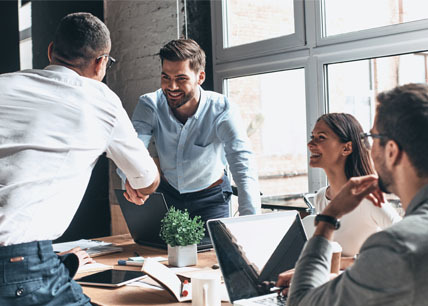 Our Sales team takes those powerful audiences, alongside smart advertising solutions, and connects them with businesses that need them. We are able to support journalism because of you. Whether you’re a reader, subscriber, advertiser or agency, every dollar you invest with us helps us continue to fund journalism. How and why it works. 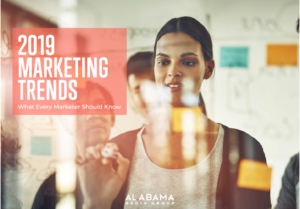 Our own content drives massive audiences, which combined with leading technology and data partners makes Alabama Media Group a digital marketing powerhouse. Over the years we have learned how to both leverage our owned audience data and add new technology and partner relationships to access ANY audience. We have the unique benefit of being both a publisher and digital marketing agency. As a publisher, we create proprietary audiences that allow for unique advertising opportunities. These first-party data sets combined with highly vetted, third-party data sources allow unsurpassed audience reach and accuracy when targeting ads to the right audience. In the end, it’s our story. Why we do what we do, how we fund it, how we do it, and why it works all come together in the story of us. News teams need sales teams, sales teams need news teams, news teams need readers and readers need news. We’re interdependent. Where you advertise matters – for a lot of reasons. We believe it’s our duty to produce truly great news and entertainment through vast and varied mediums. And we’re so good at building audiences through great journalism, that giving advertisers access to those audiences simply makes good sense. This is our story. But it’s yours too. We’ve made a good team for over a century, the businesses we partner with and the readers we serve. And we intend to be here for the next century, providing you smart, relevant, timely news and entertainment and helping businesses tap into their best potential for growth.